Statistically Flying is the Safest Method to Travel, stats prove it! Statistically speaking, flying is the safest mode of transport in the world and has been since commercial airlines began over 60 years ago. It is understandable that many people get anxious before they board a plane due to their fear of crashing, but when you consider the likelihood of you suffering a fatality in a plane crash as opposed a car accident, the difference is staggering. 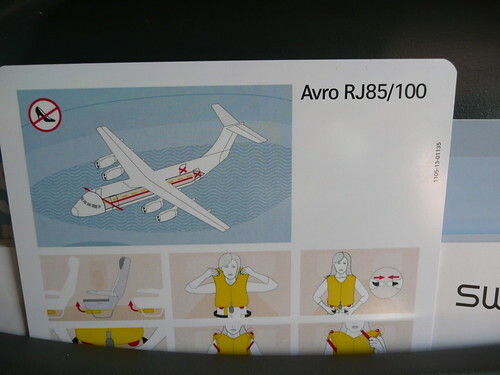 Plane safety messages, making sure everybody is informed. Since 1950, there has been 1091 fatal plane crashes involving commercial aircraft in the entire world. It´s seems like a lot, but when you consider there are around 50,000 commercial flights on a daily basis worldwide, the number of accidents is rare. In 2011, 1850 people were killed in car accidents in Britain alone. Nobody died in a plane crash. In the United States, statistics show that 1 out of every 6800 drivers are fatally wounded in a car accident. In comparison, the rate of death for airline passengers is 1.6 million. In terms percentages, the US statistics record that 0.2% of departures do not arrive at their destination. This is down from 1.4% in 1989. Conversely, driving fatalities are rising due to increased car speeds and people using their mobile phones – not to mention drink drivers. Ground staff ensure the safest experience possible for passengers at airports. The worldwide statistics for the top 30 commercial airlines show that 1 in 29.4 million passengers die in a plane crash per annum whereas the 25 airlines with the worst accident records, 1 in 1.7 million die. Therefore the worldwide flight stats are significantly better than drivers in the US. The difference between the two is that no matter how much traffic authorise attempt to create laws and safety measures, it is difficult for them to enforce them as they have no control over anybody who gets in a car. And it would appear that despite the traffic regulations far too many irresponsible people are allowed behind a wheel. The fatality figures rise each year in nearly every country around the world. Airlines however have control over flights and pilots and air crew are subjected to strict rules before they man a flight. They are not allowed to drink alcohol the day before flying, nor are they allowed to take anything into the cockpit with them that has the potential for distraction. Other safety measure taken by airlines is to ban electrical equipment such as mobile phones than can affect the planes control instruments. The fear of flying – should it be a myth? People who have a fear of flying are most anxious because they believe that if the plane they are travelling on is about to crash they have no chance of surviving. Whilst it is true that many commercial airline accidents do result in fatalities, the fear of not surviving at all is ingrained in people´s minds because the most fatal plane crashes are the ones that are remembered the most. However, since the turn of the Millennium, statistics show that 24% of people that have been involved in a plane crash have survived. Since commercial flights began in the 1930´s, the survival rate is 53%. There are around 300+ commercial airlines in the world and 113 of them have never recorded an accident. These figure show that statistically flying is the safest mode of transport for travelling. 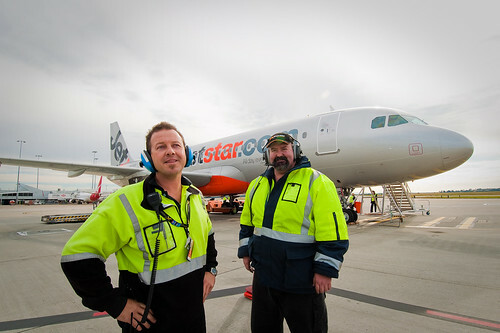 Image Credits: skoop and Jetstar Airways. Yes, flying is the safest form of transport. That is, if you only consider that travelling in a car or flying are the only two modes of transport in this world. Bus travel is very safe and result in less fatalities, so unless you qualify your stats i’m afraid they are meaningless. I’d say there are other ways for transportation or for traveling. I’d take car or bus travel if only it takes hours to travel. However I can still agree with flying is the safest method and most practical one.